The Hanover Wind Symphony has presented its second annual Summer Music Camp Scholarship to 17-year-old Claire Oplinger, of Morristown, an outstanding flutist. 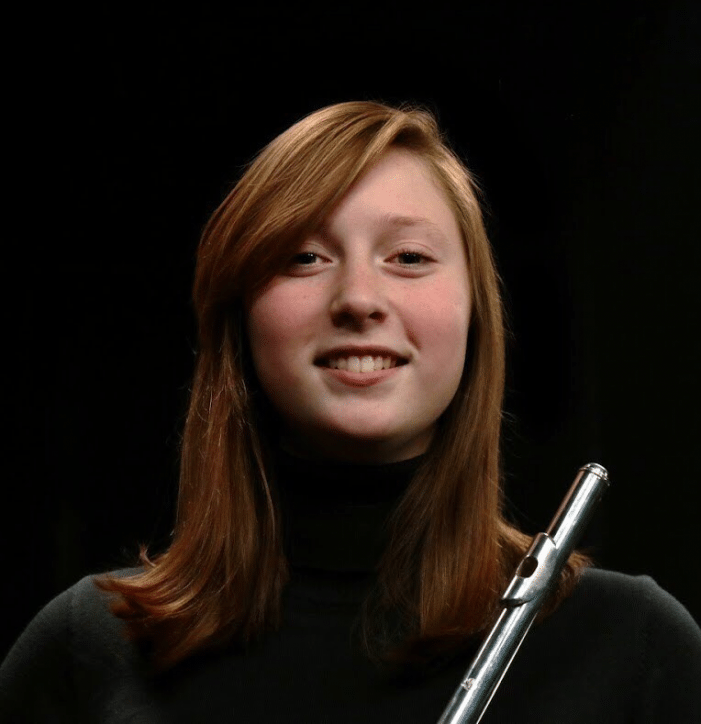 She will attend the Boston University Tanglewood Flute Institute this summer and will give a solo performance with the Hanover Wind Symphony in the fall. She will enter her senior year at Morristown High School in September. Gail Lalk, of Morristown, chair of the Hanover Wind Symphony Scholarship Committee, said the scholarship was designed to give young musicians an opportunity to bolster their skills. Symphony in our October concert at Memorial Junior School in Whippany. We are all so pleased that the HWS scholarship program has produced two winners with such a high level of musical ability. Oplinger, who plays both flute and piccolo, has auditioned for and been accepted into many of New Jersey’s honor bands, including the New Jersey All State Symphonic Band (2018); the North Jersey Area Band Wind Ensemble, first piccolo (2017–2018); and the Region I Wind Ensemble, third chair flute (2018). She was chosen to attend Oberlin Conservatory’s Summer Flute Academy in 2017, where she studied with Alexa Still. She also plays with the Delbarton Abbey Orchestra, the Morristown High School Wind Ensemble, and has served as section leader for the past two years in the Morristown High School Marching Colonials. She was also a member of the Drew University Flute Orchestra in 2017. “Claire is an extraordinary young lady,’’ said her private flute teacher, Nancy Shearer of Morris Township. “She is thoughtful and organized about her approach to the music she is working on.